Wolff Gained WH Access With Flattering Book Title - Joe.My.God. 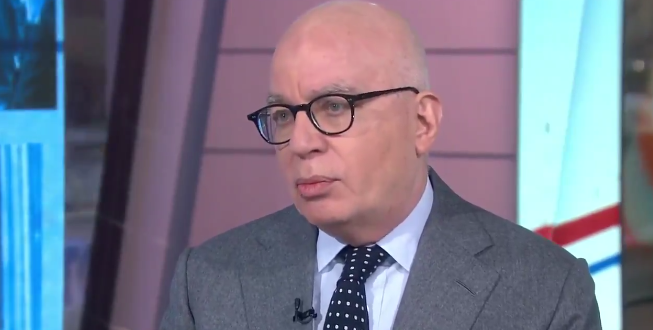 Author Michael Wolff’s pitch to the White House to win cooperation for his book included a working title that signaled a sympathetic view, a counter-narrative to a slew of negative news stories early in Donald Trump’s presidency. He called it “The Great Transition: The First 100 Days of the Trump Administration.” And in part due to that title, Wolff was able to exploit an inexperienced White House staff who mistakenly believed they could shape the book to the president’s liking. Nearly everyone who spoke with Wolff thought someone else in the White House had approved their participation. And it appears that not a single person in a position of authority to halt cooperation with the book — including Trump himself — raised any red flags, despite Wolff’s well documented history.